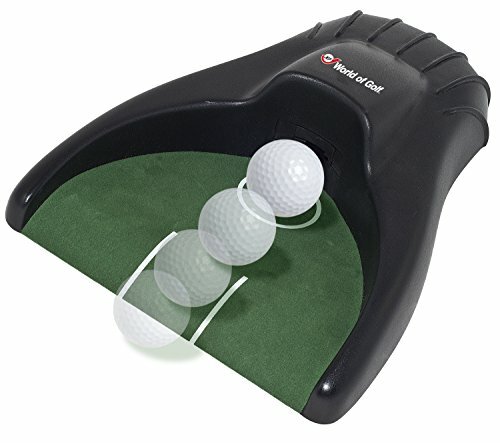 JEF World of Golf Automatic Golf Practice Putting Cup is our recommended automatic return putting cup aid for when you just cannot get out to the putting green. Face it, there are days when you just cannot leave the office or skip school (not that we are advocating that). Or, it might be raining, hailing, snowing or hurricaning out. On those days, you still might have the itch to get in a little putting practice. 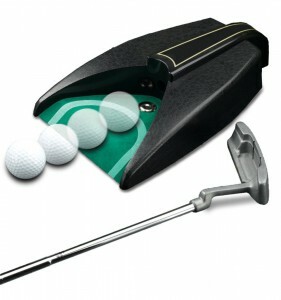 When you cannot get out, an automatic return putting cup allows you to still get some putting practice in. 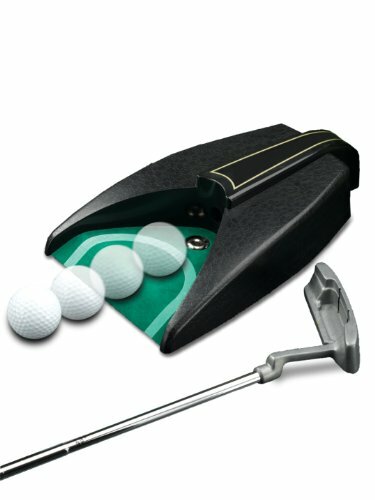 And, there is nothing that can make putting practice more enjoyable than having the ball go into the hole and then have it returned directly to your feet. With an automatic putt return practice cup you also get immediate feedback when you miss. When your putts are short or wide of the cup, you have to shag the ball. 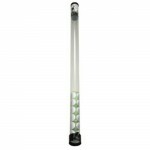 Although primarily an indoor device, customers do use the automatic return practice cup successfully on practice golf greens to eliminate having to gather their golf balls. Our recommended model is designed with a slightly raised front lip to encourage golfers to putt with enough force for proper putting speed. The golf gurus suggest that putts should roll 14 inches beyond the hole to train golfers to not hit short. The JEF World of Golf model uses two AA batteries and is highly portable. 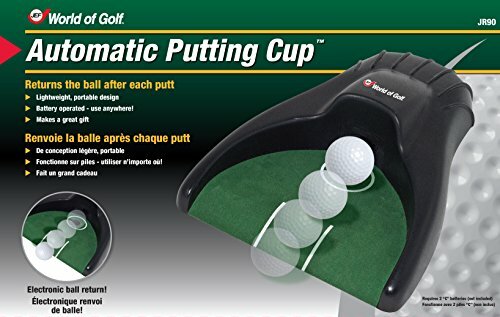 See below to buy the JEF World of Golf Automatic Golf Putting Practice Cup!